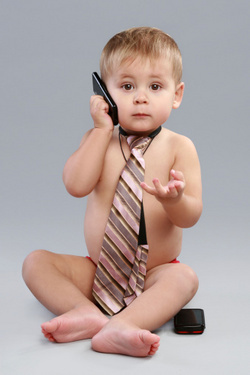 Miraclean – 803.984.9383 | How young is too young for kids to have a cell phone? How young is too young for kids to have a cell phone? Posted on July 27, 2014 by Kristin Posted in General Announcement	. While cleaning a customer’s house the other day, she did something I had never thought of doing. Cool, right?! She said it was her way of keeping them “cell phone less” for a little while longer. What a great idea! My niece recently celebrated her eighth birthday. When I asked her what she wanted, her requests were: “a cell phone, an iPad, a Nintendo DS” pretty much nothing under $100. Of course, she has no idea the value of these items. She sees her friends on a phone, so she wants a phone. So, do you give in and buy the kid a phone? How independent/responsible are your kids? Do they need to be in touch for safety reasons or social ones? Some folks have been ditching the old home phone. If you work and your child needs to check in with you once they arrive home from school, then it may be time to get them a cell phone. Make sure you limit the options of the phone. Start with a simple plan, one that only makes phone calls and allow them a certain amounts of minutes. Does your kid understand the concept of minutes and apps downloaded? Speaking of apps downloaded, depending on what age your child, are you ready to open them to the portals of the Internet? Cyberbulling, location sharing (which raises questions about children being stalked), and being on-call to all of their friends are a few concerns parents have when deciding if they should buy their kids a smartphone. WedMd suggests not considering a cell phone until your child is in middle or high school, as the younger kids are more likely to be with you. Before you add a line to your current plan, consider establishing rules and punishments for breaking the rules. Buy them a basic phone: Yes, you can still get a phone that doesn’t include a camera, Internet access, games, and texting. If you’re passing one of your phones down to your child, turn off all the extra features. And if your child complains, remind her that phones are tools, not toys. It’s about safety, not social status or games. Set limits: Most cell phone companies allow you to cap the number of texts a user can send or receive as well as the number of minutes the cell phone can be used. If a child goes over the designated plan amount, have her pay the extra charges. (Older teens can be responsible for their entire cell bills.) You also can block Internet access and calls from unapproved numbers on most phones. Set more limits: Designate times that the cell phone needs to be turned off — for instance, during family meals, after 10 p.m., and during school hours. If your teen is a driver, insist that he or she not use the phone when driving. Some families don’t allow cell phones in children’s rooms at night to keep kids from texting or making calls after bedtime. Insist that your child answer your calls and texts right away, and teach your child not to answer or return calls and texts from people they don’t know. Follow the same limits yourself: Let’s face it: You have to walk your talk. If you don’t want your child to use the phone during meals or while driving, follow those rules yourself. If you don’t want him or her to compulsively check the phone, don’t do so yourself. You are your child’s No. 1 role model, whether your child admits it or not. Create some distance: For now, until the radiation risks are clearer, use ear phones instead of holding the phone up to the ear. Also, don’t let kids sleep with their phones under their pillows. He also advises against carrying cell phones in front pants pockets, due to a potential radiation risk to the reproductive system. Teach good behavior: Children aren’t born knowing the rules about how to use cell phones respectfully, including not using them to spread rumors, not taking (or sending) photos without people’s permission, not sending inappropriate photos or texts, not having personal conversations in public places – and, of course, never communicating with strangers, no matter how they present themselves. It’s up to you to teach them. According to a recent Kaiser Family Foundation study, 85% of those aged 14 to 17 — have cell phones. So do 69% of 11-14 year olds and 31% of kids aged 8-10. That’s twice as many kids who had cell phones in 2004! Be responsible. You know your kid and you know their maturity level. 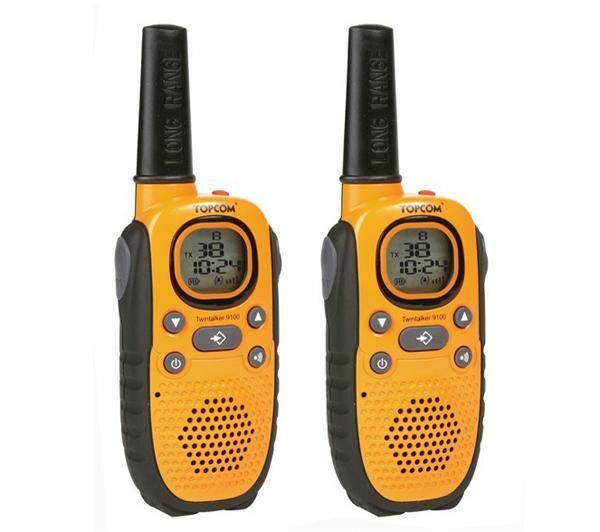 Tags: cell phone, emergency, kids, lines, middle schoolers, minutes, money, money-saving, plans, teenagers, tips, walkie talkie	.